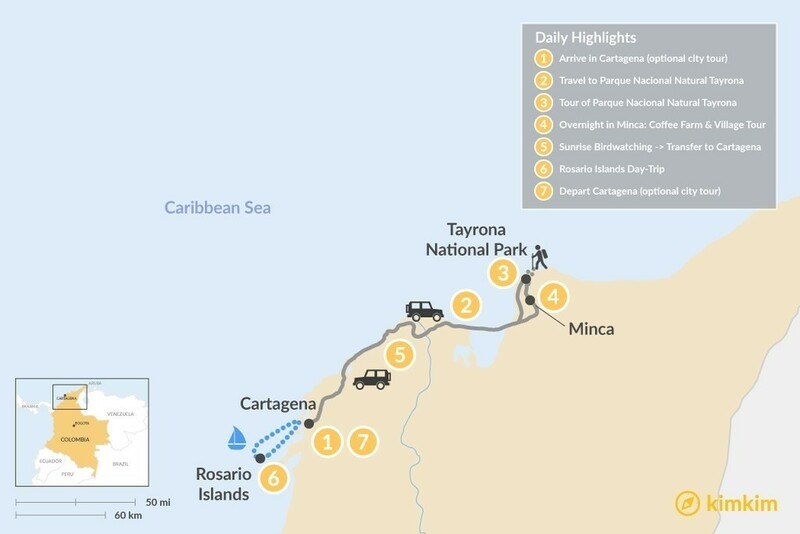 This morning, you'll depart for Tayrona at the foot of the Sierra Nevada mountains. The picturesque national park sits between the Piedras River and the Caribbean Sea and is quite a sight to behold. 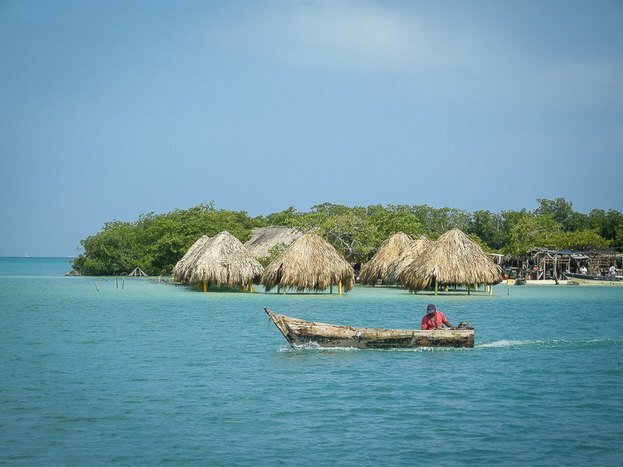 Here, you will encounter a wide range of landscapes from tropical rainforests, white sand beaches, mangrove swamps, and one of the few coral reefs in Colombia. With this diverse array of landscapes comes a huge variety of plants, birds, mammals and marine life. When you arrive, spend some free time exploring the area and enjoy the scenery. 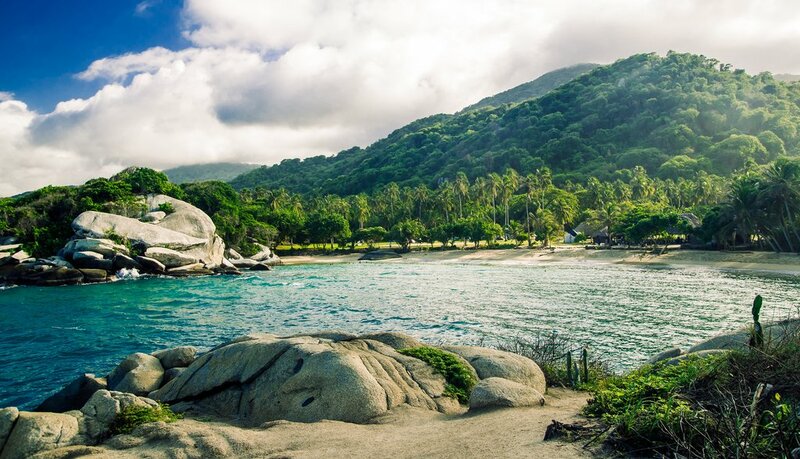 Today, you'll experience some of South America's loveliest coastline with a guided tour to the stunning beaches and rainforests of Tayrona -- one of three national parks on Colombia's Caribbean coast. The trip starts with a hike in the tropical foothills near Cañaveral, the base of the Sierra Nevada mountains. You'll then visit the exotic beaches of Arrecifes and stop at La Piscina, an ideal spot for swimming and snorkeling. Continue to Cabo San Juan del Guia and see a wonderful bay of white sand surrounded by huge volcanic rocks. On the way here, you can observe several species of local fauna and flora pointed out by your knowledgeable guide. The afternoon is your free time to enjoy lunch and relax on the shore. 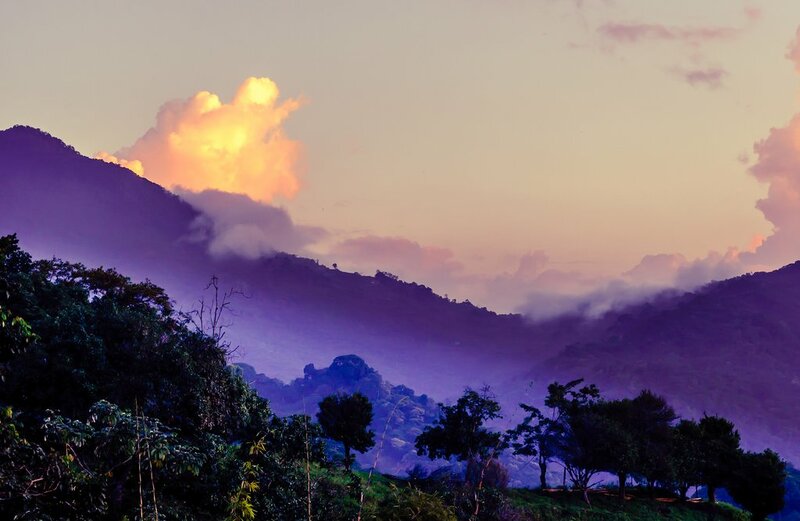 After breakfast, depart for Minca, a delightful mountain village located in the scenic Colombian hillside that's starting to attract in-the-know backpackers. 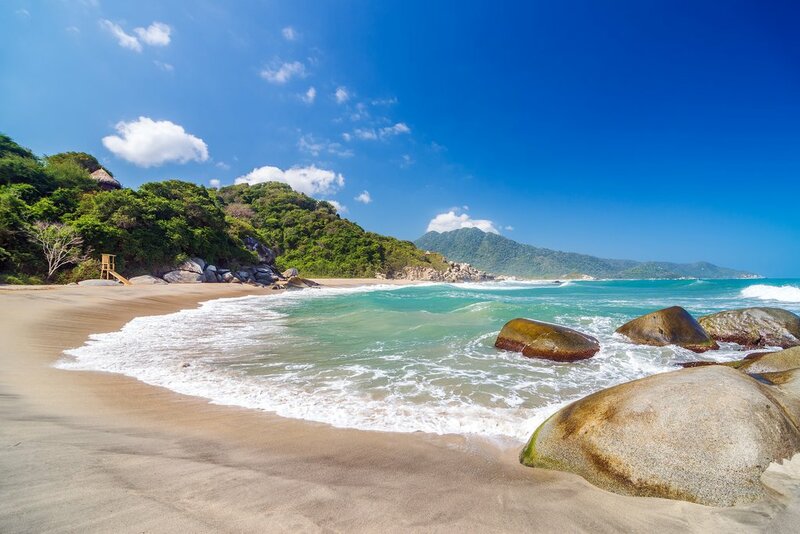 Minca is seemingly a world away from the bustling city of Santa Marta down on the Caribbean coast — and remember to bring a layer as the temperature above sea level is cooler than other parts of the country. You'll start the day touring (and tasting!) one of the area's organic coffee farms, of which Minca is known for. After learning about the production process, there’s a visit to the natural swimming hole of Pozo Azul for a refreshing dip. Have a traditional Colombian lunch, before you embark on an afternoon walking tour of the town center. Alternatively, visit the hummingbird balcony at Hotel Minca where you can relax and observe hundreds of hummingbirds that feed there. Today, experience the awesome nature and diversity of Minca's surroundings with a unique birdwatching excursion. The area's dry scrub is great for colorful viewing, so you won't want to miss this. You will leave from Minca at dawn! It is not a difficult hike, and the results are worth it. 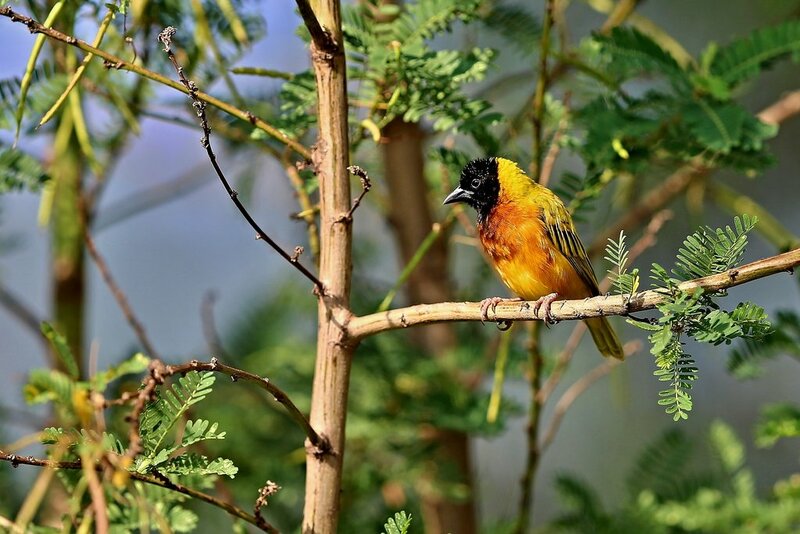 Your guide will be able to show you a wide variety of rare species such as the golden-winged sparrow, the black-backed antshrike, and the rosy thrush-tanager. 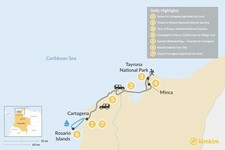 After lunch in Minca's pleasant village, bid farewell and drive back to Cartagena. Once you arrive to the Rosario Islands, change into your swimwear before you head to Playa Azul, a stunning white-sand beach on the bright turquoise Caribbean Sea. After lunch is served, you will have time to relax and sunbathe or do some kayaking in the sea before returning to Cartagena in the late afternoon. A car will pick you up at the pier to take you back to your hotel. We had an amazing trip organized by Nicolás to Cartagena, Minca, and Tayrona National Park. One of our favorite experiences was touring the Bazurto in Cartagena with Chef Mely, since we were able to taste and explore the local cuisine with the help of an experienced guide. We also loved bird watching in Minca, and we even got to see a Toucan! It was so relaxing to have all of our transportation arranged ahead of time, and Nicolás was always available with a quick response whenever we needed to make adjustments to the schedule. The most difficult day of our trip was when we were driving from Tayrona to Cartagena due to heavy traffic caused by protests. The local Colombians were protesting because they did not currently have electricity or clean water. This obviously could not have been prevented, but I do recommend that other travelers plan for a whole day of travel if they are also making this drive. Overall, we were very happy with Nicolás and the entire Kimkim experience! Overall we had a really good trip. We were greeted at airport by Daniel, who was sweet, engaging and very knowledgeable. His English was quite good and he was very informative, sharing personal insights on history and culture. We never felt threatened or unsafe on the trip - we're also assuming that the second man who accompanied us during our first afternoon tour, and did not speak English, was there for security! Our lodging at Casa Canabal was very comfortable and very accommodating - though the rooms are small and have no windows. A very creative lighting system in the walls, however, gives the semblance of outdoor lighting and ended up being fine. Breakfasts were good and the waiters were wonderful and very friendly. I would suggest that the hotel have towels available at the pool. We enjoyed the cooking class the second day with Sandra and Ellie. The trip to the market was eye-opening and truly a cultural experience. Visitors should be forewarned, however, not to wear nice shoes! We made ceviche, guacamole, fried plantains, salad, fried fish, coconut rice and passion fruit panna cotta - all delicious!! Sandra was engaging and very interactive - teaching us new skills and lots about Columbia. We had been told in our tour itinerary that we would be going to Playa Azul in the Rosario Islands and getting there by private speed boat. We were surprised and a bit confused when we arrived at the dock, and amidst a large and equally confused crowd of tourists, found out we were going to Bendita Beach on a speed boat with 30 other tourists. No one spoke English, other than the other tourists, so all the safety and general information given once we got on the boat was entirely in Spanish - not very helpful OR safe! Once we got to the beach, we were pretty disappointed with the number of people there (masses) and being "herded" to the lineup of beach chairs which weren't very comfortable. All activities were pretty haphazard - again, because English was limited and there were so many people. The lunch was good. I'm not sure we would have gone if we had known it would have been so crowded and uncomfortable - it certainly wasn't very relaxing and not what had been depicted and described in our itinerary. There certainly wasn't any place to go walk and "explore the island" and no one was around to talk about the flora and fauna. All transfers were very good and on time. Our driver to the Tayrona region was excellent - Jorge was a wonderful driver and spoke relatively good English. Our lodging at La Mer de Bien was lovely - though we didn't we didn't realize we were staying there until we read the fine print itinerary (it wasn't the lodging listed in the larger itinerary which was actually quite a bit closer to the park). We loved La Mer de Bien - and Sergio and Diana couldn't have been lovelier hosts. Food was delicious and they were very accommodating making us sandwiches to take with us with our pre-breakfast early departure. Tour of Tayrona and the Victoria Coffee plantation in Minca with José were great. 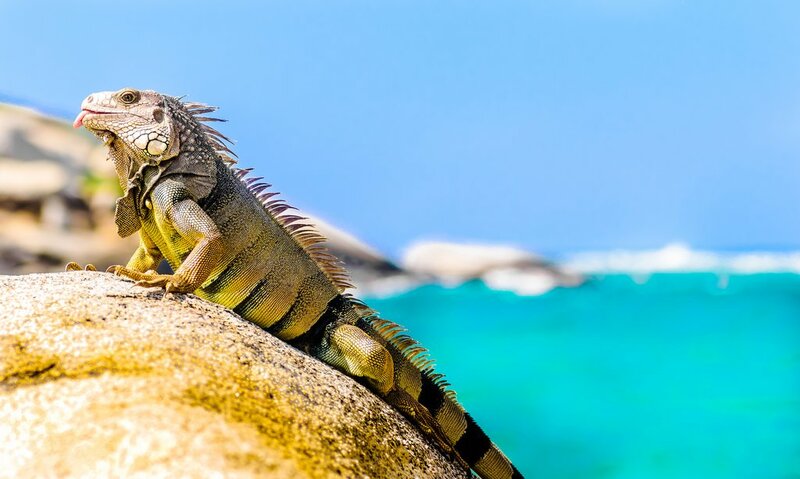 At Tayrona we had a great hike and saw monkeys and lizards. The afternoon at the beach was terrific. The tour at the coffee plantation was incredibly interesting and very well done. Again, visitors should be forewarned about the bumpy road from Minca to the plantation! We were fine, but our driver seemed worried in the van he was driving - especially since the road is so narrow and there was definitely traffic going both ways. Overall - a great trip and we very much enjoyed seeing this part of Columbia. We felt the country has done an amazing job making visitors feel welcome and safe. My cousin and I booked our trip through kimkim and I could not have been more pleased! Lisa, was our specialist, created our itinerary, took care of us, and tackled any concerns that we had. We had expert tour guides with us on several excursions that made all the difference. 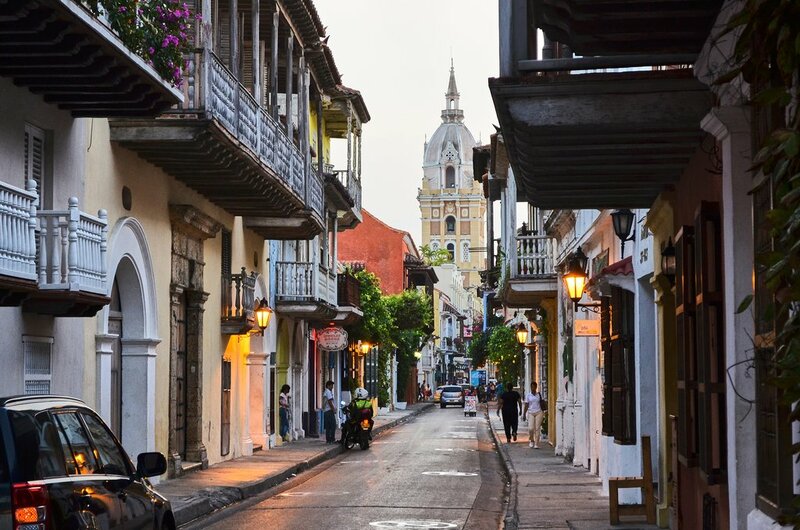 I felt completely safe and was able to have a stress-free experience in Colombia. Our trip was truly memorable! Tayrona National Park was amazing we were able to see lots of monkeys and other wild life. Our guide, Jaruen, was really stealthy at finding all kinds of creatures. He came equipped with a laser pointer so we were able to easily spot, what would have been camouflaged animals and birds, with ease. I think other people on the hiking trail were jealous. Our guide also held our table at the restaurant once we made it to the beach-which was really helpful because the line for lunch became soooo long! My cousin and I were able to just walk right in. At this point, YES, the other hikers were definitely jealous! Bug spray is a must. In Santa Marta, I highly recommend Lulo Cafe Bar for a FABULOUS cocktail and great service! Lots of great restaurants on the same street as well. Also some fun street entertainment on the street and at the square-it’s the teenage boys dancing that steals the show! It was also waaaay nicer as far as restaurants go than at the lackluster beach so stick to the square! Bug spray is a must if you are eating outside. Our day trip to Minca for waterfalls and a coffee bean farm tour had a great guide named, Fidel. He was very knowledgeable about birds and wildlife in this area. My cousin and I swear that we thought we were following Mowgli into the Jungle! He really knew his stuff and LIVED this lifestyle. He took us to several waterfalls and was able to identify all kinds of amazing humming birds. The best part was that he took us to an authentic roadside “barbeque”. They had a huge, open brick oven with slabs of meat roasting in it. My guess is whatever animal was in there was alive not too long before we ate it. I have no idea what I ate exactly, but it was good! Great views of the mountain side too! Bug spray is, again, a must. 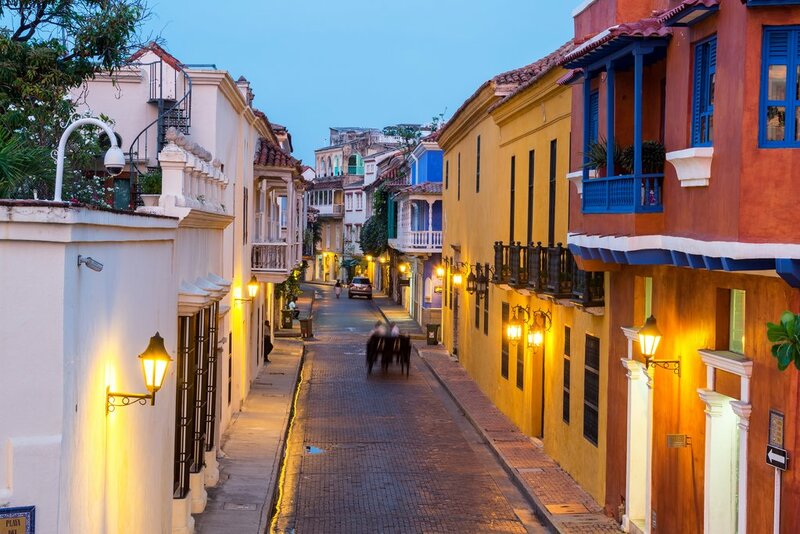 Our hotel in Cartagena was very nice and smack in between the old town and Getsimani so it was easy to mix it up within the city walls as far as exploring goes. Carlos, the guy who seemed to run the show at breakfast, was extremely personable! He showed us all the different native fruits as well as how they made coffee- taught me some Spanish as well! Carlos went above and beyond because he really didn't have to do any of those things for us- the breakfast was excellent as it was! Our Cartagena city tour guide, Sergio, was also very friendly and informative. He had lots of insight into the history, and architecture of the city, as well as some current events and also what I felt was "insider" information! We found the BEST local artist-and both my cousin and I had been looking the whole trip- thanks to Sergio! The artist’s name is Fini. I really am impressed by her artwork and I’m currently in the process of getting it framed! Can’t wait to put it up! We went to Casa del Farol at the Rosario Islands for a day of snorkeling and relaxation. The snorkeling was really surprisingly good considering that the weather was overcast. There was a lot of colorful coral, and seriously amazing fish! Lunch, as most every meal of our trip, was excellent. My only complaint is that the day was too short! Overall, this was an amazing, exciting, bucket-list type of trip! Thank you, Lisa and kimkim!